Can we just change our minds? I’m joining in on Five Minute Friday this week. 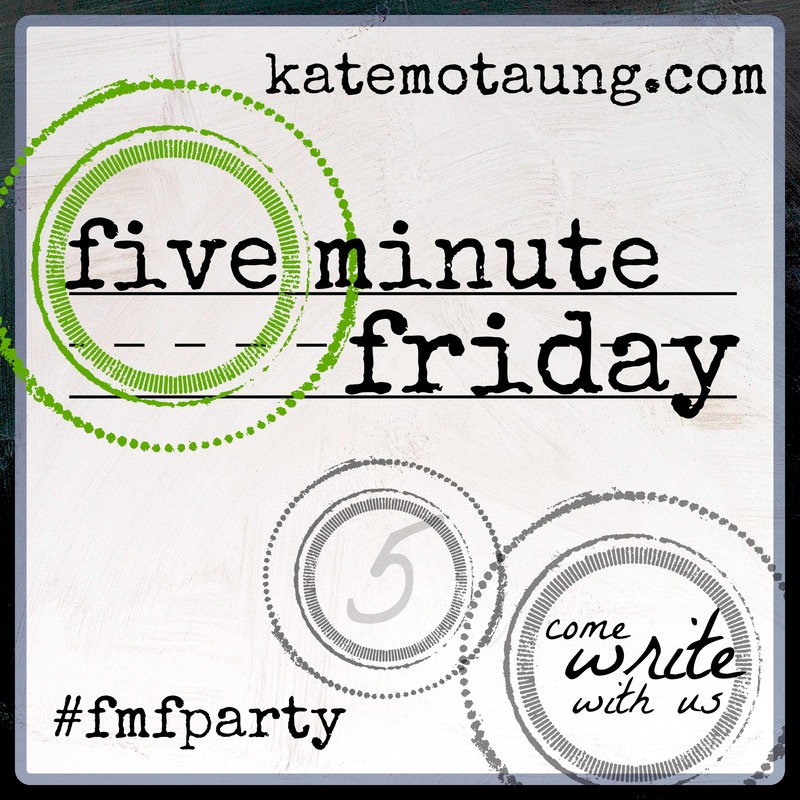 FMF gives writers an opportunity to free write for five minutes without the stress of editing and revising. 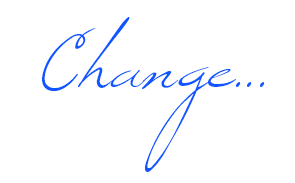 Friday’s prompt was change. Can we just change our minds today? We have this “thing” staring us in the face and we were sure how we would handle it. We had rehearsed the scenarios and feel confident we know the appropriate action. I would never say…do…put up with…take…You’ve said those things too right? Smugly we smile and feel so very confident we have this and then, the “thing”. Quickly we realize there is a tad more to making this decision. Maybe we do something we regret or forgive something we once thought was unforgivable. And then, our eyes are opened and we see how judgmental we have been – not only of others-but of ourselves. Suddenly we realize that we must change-our minds. Maybe our firm conviction of what we would do becomes softened by the realities of life. We understand that we really can’t judge others or ourselves unless we have walked a “mile in those moccasins”. 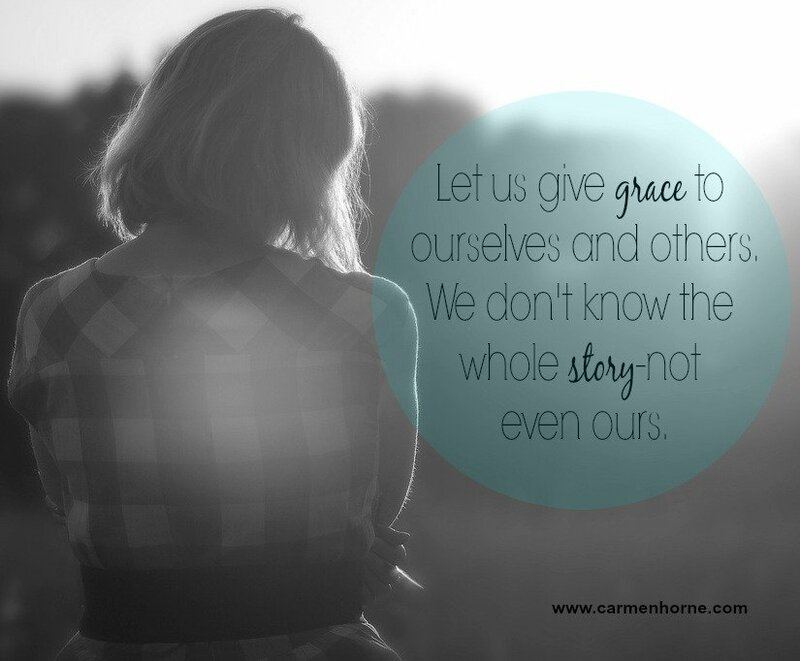 Let us give grace to ourselves and others. We don’t know the whole story-not even ours. Hi Carmen, I’m your neighbor over at FMF. What a lovely site you have here. It’s so great to find someone in the blogosphere who’s in the same season of life I am. Is it just me or are we a minority? I so appreciate your words here. Truly, we don’t know people’s stories, and I LOVE what you said…”not even ours”. Giving grace to myself has proven to be much harder than giving it to others. Well hello Lisa! I’m so glad you stopped by. Grace freely given is definitely a work of the Holy Spirit. I’m glad God passes it out so easily. Come see me again! Great to meet you as well.